“Elected” School Board in Kansas City? Linked below is a summary of the book Complex Justice: the case of Missouri v. Jenkins written by Joshua Dunn, Ph.D. and Assistant Professor of Political Science, University of Colorado-Colorado Springs. Dr. Dunn’s book details the landmark Missouri v. Jenkins desegregation case which mandated $2 billion of improvements to the Kansas City, Missouri school district, and which stretched for nearly three decades. Linked below is a summary of the book Complex Justice: the case of Missouri v. Jenkins written by Joshua Dunn, Ph.D. and Assistant Professor of Political Science, University of Colorado-Colorado Springs. Dr. Dunn’s book details the landmark Missouri v. Jenkins desegregation case which mandated $2 billion of improvements to the Kansas City, Missouri school district, and which stretched for nearly three decades. What can we learn from the past? What is the best remedy for this ailing, but once proud district? One lesson is very clear — reform will not come from judicial oversight. It must come from the people. You can be part of the solution. 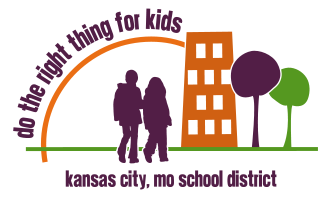 We invite you to join our task force “Do the Right Thing for Kids” today. Make your voices heard, and let’s work together to finally provide the children of Kansas City with the education they deserve.